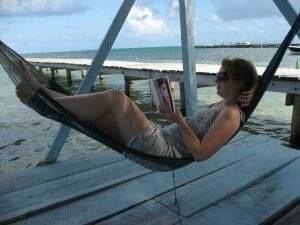 Stress when you travel – Traveling isn’t all about lying under a palm tree, reading on the beach. Well, sometimes a big part of it is — once you actual are settled at your destination. Generally, there is a lot of stress when you travel, both physically and mentally. My body really took a toll on me during my first 9 month Round The World trip last year (see our Step-by-Step-Guide here), and it didn’t take long until I realized that I needed to do some serious changes in the way I traveled, if I wanted to continue enjoying it. There are simple things you can do to reduce the amount of stress that comes with traveling. Here are the changes I made to my traveling lifestyle which really helped me to enjoy each moment more. Important to get back into a routine after traveling. To-Do List is a list of things you want to do in the place you’re visiting, something that is supposed to be fun, not something you need to do in order to feel content and satisfied with your trip. But often this list of fun stuff can easily turn into a Must-Do list which normally ends up equaling stress. It’s easy to get caught up with the list, feeling that the trip won’t be “good enough” if you don’t do everything you’ve planned. All of a sudden I found myself rushing and stressing while obsessively ticking off my To-Do list, not actually enjoying myself at all. Seeing, doing and experiencing new things is supposed to be something fun, not something you’re stressing out about. If you’re stressed, you won’t enjoy any of ,and it’s just a waste of time, money and effort. So I started to limit my travel To-Do list and just chose a few things that I REALLY wanted to do, and that helped me a lot. If you find that you have lots of time over for other things, then that’s fine – but take your time and enjoy yourself — let there be a gap for spontaneity, because that’s when you really get some memorable experiences on your trip! No matter how much you like adventure, action and uncertainty, we all need some routines in order to feel good. I found that making a routine for small things such as specific times when to eat breakfast and lunch made a big difference. Try to go to bed and wake up the same time everyday. Soon you won’t have to set your alarm, as your body will know naturally when to get up. Deadlines to get from point A to point B often force you to speed up the tempo of your body, and once you’re in that fast speed you get used to it and that tempo begins to feels normal. But it’s not until you slow down that you realize how stressful it actually was. When it’s possible, learn how to slow your body down. It’s okay if you choose to stay at a place doing nothing for a longer time. Nothing will happen; you’re not going to miss out on anything. Just slow your pace and learn to enjoy the moment — let the stress simply wash away. Planning can be great for reducing stress. For example, planning a few days before how and when to get to the airport will save you a lot of stress and anxiousness. Take advantage of the companies out there to help you. For example, Blacklane provides a taxi alternative in more than 180 cities. By not planning, you might realize the same morning your flight leaves that your hotel doesn’t drive you to the airport, so check those kinds of details — so you don’t find yourself at the last minute running to the flight gate. It’s such an unnecessary thing that creates too much stress, and that extra hour you spend in the city instead of waiting on an airport really isn’t worth the possible stress. However, by over-planning you can actually create even more stress because you will keep thinking about the future, about what you’re going to do next, and trying to stick with the schedule. Try to find a nice balance between these two. There is no use worrying about something you can’t control anyway. Accept whatever happens and deal with it the best way you can. By trying to control something or react to something you can’t do anything about. You’re just stressing yourself out for no reason and nothing will get better that way. Instead ask yourself if there is anything you can do about it, if not, then accept it and let it go. This is something I had to practice for a while, but when I started learning how to deal with it, everything suddenly had a complete different flow, and I was actually happier. Okay you got tricked and paid more than you should have at the street market, or something didn’t quite turn out the way you expected it…. Get over it fast! Going on and on regretting and complaining about something you can’t change just make things worse. Don’t beat yourself up about things you do, learn to forgive yourself and travel partner for making novice mistakes. What’s done is done, learn from your mistake and move on. Besides, many things that look dark at the moment, will be a funny memory sooner than you think. It’s often the mistakes we tend to laugh about the most afterwards, and those are usually the ones people want to hear about as well. A diet filled with processed foods and fast foods is never good, but especially when traveling. With so many new things around you, your body gets very easily tense and weak. Eating non-nutritious food gets you clogged up faster, opening you up for sickness. Stress and a bad diet often equals constipation or diarrhea, among other things. Make time for your own ‘me-time.’ Take some time and just hang out with yourself. Traveling in groups or as a couple is a lot of fun, but some quality time with yourself is important; it’s easy to forget about yourself when traveling. By taking some time to listen to your mind, you’ll find out how you really feel. Often we don’t hear ourselves and don’t understand that we are stressed until our body just collapses on us, or until we take it out on our travel partners. In order to ‘heal’ yourself, you first have to be able to recognize problems when they come up. If you notice something different, don’t shake it off right away. Analyze it a bit, and try to remember when it started and if there are any connections to your traveling. Experts say that the best way to manage stress is through exercise. It relaxes the mind and body and increases energy. It helps you sleep better, gets rid of toxins in your body and can actually make you happier. Exercising causes the release of chemicals called endorphins into your blood stream. These give you a feeling of happiness and affect your well-being. Exercising when traveling can be tough, but a simple walk can be make you feel better. How Do We Travel Continuously Without Getting Burnt Out? A lot of it comes down to how attached you are to having a home. It’s about finding out how much certainty you need in your life. It seems like the less certainty you need (the more uncertainty you can handle), the longer you can travel and stay happy. One way we found helped a lot when traveling was to create daily routines. What people really want isn’t a house to call home, but the feeling of structure which that gives them. If your life has some kind of structure, you will feel safer and more certain no matter where in the world you are. It doesn’t have to be something big, it could be something as small as having a morning routine. To wake up every day at the same time and go for a walk before breakfast, or having your meals at specific times of the day. It also comes down to how you as an individual handle stress and new situations. If you don’t take the time everyday to get into a relaxed state, traveling will burn you out before you know it. We put A LOT of focus on making sure we do this when we travel. Another important factor is to try and be in the moment and actively be grateful for your life and everything around you. Maybe on a walk you can take five minutes to think about all the things in your life that you’re grateful for. This usually put things straight if you start to question what the heck you’re doing. Always worrying about the future can create a lot of stress in your head. It’s good to think methodically, but not getting attached to the future and what MIGHT happen. It is possible to reduce stress when you travel. Rushing through countries and seeing everything doesn’t make the trip any better than staying a bit longer at a place until you feel ready to continue. Sit back and relax; nothing really is more important than your own personal mental health. Take the world one step at a time, and you will find you can travel for a very long time and STILL enjoy it as much as your first day away. I’ve always had this fascination/fear of doing things outside of my comfort zone. I love it and hate it at the same time, BUT it’s the feeling afterwards which gets me addicted to it. 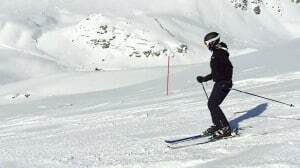 Everything from speaking in public to learning new skills like skiing and surfing. I keep doing it and keep looking for those opportunities all the time, despite being really scared of trying them. Why? Because I know how rewarding the feeling is once I’ve faced my fears, or once I’ve done something I wasn’t so sure about. I realized that by traveling I get to try so many new things that I otherwise wouldn’t have done, and I grow stronger as a person every time. 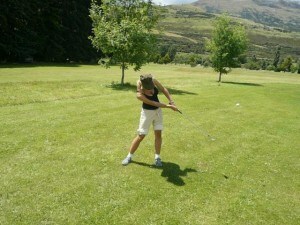 In New Zealand I tried golf, for example. Golf was something I had never tried in my life, and honestly hadn’t really planned to try either. While it’s more common for rich Europeans to visit a golf course in St Andrews in Scotland, New Zealand was a good place for me to start because golf there is incredibly cheap and you can do it everywhere. In Europe it’s seen more as a sport for rich people, and families who go on golf breaks around Europe during the summer. Just like wine tasting, it’s something of a luxury experience, and both of those are cheap and so easy to do when you are in New Zealand. I understood pretty soon that real golf was nothing like ‘mini golf’, and I think I broke a world record in worst golf-player ever. I even surprised myself when I hit the ball and it somehow ended up 30 meters behind me rather than in the hole 20 meters in front of me. It annoyed me even more that Nathan just picked up the game as though he had played it his whole life – as usual. While golf didn’t turn out to be a skill I was born with, my point is the feeling of having tried something new was still so rewarding. It was the same with learning how to play tennis, I wasn’t very good, but I learned a lot about myself while doing it. While it might not be the most enjoyable thing at the time, you can at least be proud that you did it, and don’t forget that it could grow on you, and you might start enjoying it. Surfing was one of those things I fell in love with – the first few weeks in Australia I spent the whole time getting wiped out and after swallowing half the ocean I crawled up on the beach like a drowned rat telling myself that I would never ever go surfing again. Fast forward a month, the sport had really grown on me, and surprisingly, I didn’t want to leave Australia but wanted to stay there and continue surfing. This has repeated itself over and over again with me – from surfing, skiing and playing golf. For some reason I always seem to hate things at the start, and then end up loving it. Who knows, maybe if I try golf in Scotland when we head there later this year and give it a second chance, I would like it better. What are some things you tried which you hated at first but then fell in love with? Everybody knows that before we can enjoy our holiday we have to grit our teeth and get through the stress, panic, hustle and bustle of the day with the capital D … Departure Day. It’s not always a pleasant experience but it gets us where we REALLY want to be – on a sunny beach sipping a Pina Colada. Another Way To Deal With Departure Day Stress? If you don’t have a car, there is always a lot of extra time spent on planning and trying to find a way of getting to the airport in time for the flight. And on the day of departure you run around the apartment making up worst case scenarios of the bus not arriving in time or the taxi not arriving at all. But there is an easier way to avoid all, or at least most, of the agony associated with pre take-off logistics. I honestly think that it’s worth the extra cash staying somewhere really close to the airport than having to worry about crossing the whole of London at 7 am in the morning to get to the airport. After having tried to reach Stansted airport early in the morning you will know what kind of stress I’m talking about. The extra money I spent on a taxi there after I found out that no buses go there in time for my flight, I could have spent on one of the Stansted airport hotels instead. 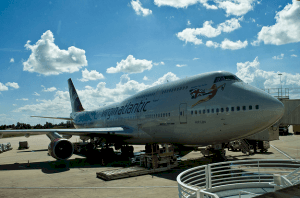 There are usually airport hotels in every city, and you can get some pretty neat deals and bigger packages like a Gatwick airport hotel and parking deal. Being woken up by a phone call and having a shuttle bus waiting for you in the lobby was so worth it. This hotel has taken budget airport hotels to a very – different – level. It’s actually a real plane functioning as a hostel, and for those wanting to spend a little extra money they can get a suite in the actual cockpit! There is a flat screen tv where you can follow all departures, free WiFi, showers and you can enjoy a coffee in the café on the plane’s left wing. Sure, you can book into a luxury hotel and I certainly wouldn’t say no, but there are also discount Manchester airport hotels available and similar things across Europe. One of the funkiest affordable airport hotels in Europe is probably CitizenM in Schiphol airport in Amsterdam. This futuristic hotel is perfect for the heavily jet lagged traveler: you can lie in your XL King Size bed and control everything in the room from a touch screen mood pad: from your alarm theme music to the tv to the temperature. If you insist on luxury, go all out and do it properly, stay at the best of the best. Imagine spending the day before departure right next to the airport doing a cooking class, cocktail making class, or enjoying a luxury spa. Rather than arrive at the terminal wound up, flustered and in a panic about missing check-in you can arrive after a ten minute transfer calm, rested, fed and with a big smile on your face and with plenty of time on your hands. So what do you think? Is this an option that you would consider next time you fly? Pro Travel Tips for Short trips are mostly manageable. An extended trip – one that lasts for two weeks or more – is a bit more challenging. We’ve provided some Pro Travel Tips to make it easy. The last thing you want to do is have multiple suitcases and a lot of stuff because then you have to lug them around throughout the trip. If you are going on an extended trip, careful planning and smart packing are important. Here are the pro travel tips you need to follow. You don’t have to bring a lot of toiletries and other disposable items on your trip. Depending on the destination, you can actually buy most of them when you arrive. This will let you travel light without sacrificing comfort. Things like soap and shampoo, towels, and a toothbrush are usually provided by the hotel. Even when you stay at a budget hotel or a holiday rental, you can always find a nearby shop that sells them. Recycle them at the end of the trip and your journey home will be just as light. Yes, rolling works. Any avid traveler will tell you that rolling clothes when packing is the way to go. There are two main advantages to be gained from rolling. For starters, you don’t have to worry about getting your clothes wrinkled in your bag or suitcase. Even better, you can pack more into the same bag when you roll clothes. Packing a pair of comfortable shoes will help you enjoy long walks and do other things. When you do pack an extra pair of shoes, simply stuff socks inside shoes and then wrap them in cling film or shower caps. You can pack the shoes inside your bag without getting other items dirty as well. Leisure trips and holidays are easier. You can simply have extra T-shirts and several pairs of pants. All you have to do to make the combination last the entire trip is mix and matching different fashion pieces. Business trips are trickier, but Michael Palance – a Hollywood actor and producer who travels a lot for his work – gave us a very handy tip: do laundry! Yes, you can find laundry services in most cities these days, so the clothes you bring could last a couple of weeks without a problem. Plastic bags are handy to have. You can bring a few Ziploc bags with you and use them for storing anything from toiletries to chargers and cables. The bags are also handy for preventing accidental spills ruining the entire trip. Last, but not least, use Ziploc bags to pack smaller items such as accessories or jewelry. These bags will keep those small items from making your suitcase or backpack cluttered and keeps like items together. Pack like a pro and even the longest trip will be manageable. Use the tips we covered in this article to get started. Personal Travel Agent – The dawn of the internet has reduced the amount of travel agents in operation within the United States. Many online services have made it easier for travelers to book their vacations independently. Some travel agents have continued to provide customers with a superior service in comparison to their online rivals. Take a Break Travel, an agency based in Florida, has revamped the way modern travelers can tour the world. Their ability to bulk purchase flights and hotels means that ordinary people can pick up industry savings without having to leave the comfort of their own homes. Many online providers boast the ability to be able to provide customers with the cheapest flight and hotel deals. While it is true that travel sites can help save customers money, travel agents have more purchasing power than any individual traveler. Purchasing package deals from Take a Break Travel helps you take advantage of the savings passed on to industry operators. The travel agency negotiates with different airlines and hotel providers to purchase rooms and flights at the cheapest rates. Before you book your next trip online, contact Take a Break Travel to ensure they can’t get you a better deal. When you first make contact Take a Break Travel you will be paired with a personal agent that is responsible for all your travel needs. They will liaise with you from the initial planning phase, as well as throughout your trip. They are available to you at the drop of a hat if you’d like to make changes as your trip develops. Each travel agent specializes in a specific location and has a wealth of knowledge of both local hotels and activities. They can help you book the exact trip you’re looking for. Traditional travelers run the risk of confronting various travel problems alone. If your flight is cancelled or delayed you may have to pay large sums upfront and negotiate with your travel insurance provider afterwards. This can be a stressful problem, and potentially leave you with large bills during the middle of your trip. Booking through Take a Break Travel ensures that you have the security of a large travel agency behind all of your bookings. If there’s a problem anywhere along your journey, whether it be with a flight or hotel, simply contact your agent and they can personally resolve it. Is an Agent Right for Me? If you’re someone who wants a hassle-free travel experience, Take a Break Travel is one of your best booking options. Don’t get caught overseas having to fend for yourself if an emergency arises. In addition, you can save considerable amounts of money by booking a packaged deal through their agency. If you’ve got a destination in mind, call today to be paired with your personal travel agent and start planning the trip of a lifetime! Take a Break Travel Emerges as Industry Leader in Customer Satisfaction thanks to being obsessed over customer satisfaction. The Fort Lauderdale, Florida based travel agency, has emerged as a 2017 industry leader in customer satisfaction. The agency has made considerable investment to ensure that all customers are paired with a personal travel agent responsible for planning every aspect of their trip. The agency is hoping that more clients will take advantage of their affordable travel packages prior to the summer holiday season. Take a Break Travel provides their client base with various packages to worldwide destinations. Packages traditionally include flights and hotels for both single and multi-destination trips. If you are interested in a range of activities and tours, great! The agency also has partnerships with many local tour providers. They can provide discounted arrangements for any type of tourist. Many travelers who enjoyed trips with Take a Break Travel over the spring break and winter periods have been providing testimonials about the professionalism of the company. “From the moment we got into contact with our agent our trip planning process was next to perfect,” one customer wrote, “The amount of detail Take a Break Travel uses in the planning stage meant that my husband and I had no worries before leaving for our holiday. Our 4-day trip to Las Vegas was wonderful from start to finish. Our flights were booked well in advance, our airport transfer was waiting for us at the gate. We spent 4 nights in a beautiful hotel on the strip. The agency has some of the highest customer retention rates in the United States. Long-term clients love the flexibility on offer with the various destinations throughout the United States and the rest of the world. In addition, many of Take a Break Travel’s packages are actually cheaper when booked through the agency instead of independently. All trips are backed with travel insurance to make sure there are no unexpected hiccups or costs during your journey. “Our flight was cancelled due to an unexpected storm,” another customer wrote. Despite many modern travelers opting to book through independent websites, Take a Break Travel insists there is still considerable value in booking their packaged deals. “We are able to purchase flights and hotels at industry rates through our various partnerships with airlines and hotel providers,” a company spokesperson said, “It’s a great way to save money on your travel expenses without having to sacrifice security or flexibility. Summer holidays are fast approaching. Those who want to take advantage of the various locations on offer should contact Take a Break Travel. I always carry a book with me. It's inevitable that you will be stuck in line or waiting for something, and having a book to read can really help keep you from dwelling on how much time you are “wasting”. This goes double when you're at the airport. thanks poi – maybe you should take your bike as part of your trip :p for some reason Sofia has a dream to push-bike all around Europe – so maybe we will be doing that this year! HELP! :p no I think it would be a great way to see the real countryside – dunno how long it would take though? sounds SO exciting 🙂 we haven't been to the Philippines yet – but would love to go. yeah dec.1st is a while away – but at least you have time now to prepare and save more money :p how long are you planning on traveling for? and no prob. about the rant 😉 we love to hear stories about what people planning to do and doing – it ROCKS! have a great day. Love this! I'm in pre-planning mode and this helps a ton! Awesome info! Thank you! hey – I am glad this blog helped you, its always good in the pre-planning stage to be prepared for everything – but its hard to be ready for everything – I do wish this kind of info was there when I first went traveling – but you live and you learn and then you past it on – which is our mission with this site 🙂 Where and when are you planning on traveling? Can you suggest me on yoga ! Which one is best for my manage a stress ? great tip Terri – books are a great way to keep you busy when you gotta wait – now with the iphone etc. also great to keep you occupied during stressful/boring parts of traveling 🙂 I love my mp3 player – put on some calming songs and I can just drift away. Whenever i travel i always make a point of including the getting to my destination as part of the holiday and start to enjoy it all. I make sure that i never have to rush any hwere and that i enjoy the surroundings as much as possible including the bars and game areas. i always arrive at my destination happy and ready to continue with my holiday. Great tips! The two things I need most in the world are to read decent books and cycle so I'll have to make sure I find time for both of these. hey brv – yeah I think yoga is a great thing to do in order to relax, and manage personal stress. There are many types of yoga, so it is best to research a bit and see what style works more for you. if you can go you will also be able to search for free yoga videos and test them out 🙂 I carry a small foldout yoga sheet in my wallet when I travel so then can simply stop anywhere – do a few forms and do a bit of yoga before moving on again – have you tried yoga or any other relaxation method before? I've thought about not bothering with clothes and taking my bike a couple of times. I'm desperate to do a cycle Europe as well, I've got a couple of books on the go about it at the minute that are making me think even more about it. Kirsty is not found of the idea, fancy a swap? haha yeah we can all go along together :p i also think it would be a great way to see Europe by bike, but only once we have more time and can soon fund our travel 100% from this site then we will have the freedom to spend as long as we want doing anything 🙂 isn't that the dream eh – FREEDOM! Great tips and wonderful information for anyone making a big trip. I would say that if you do find yourself in a stressful situation, don't be feel like you are stuck. I was once an au pair in Italy and the family had me living in a hallway. I was so stressed out about having no privacy, that I just decided to leave and travel instead. Some see that as giving up, but if a situation, hostel, hotel, or person are making you uncontrollably stressed, get out. You will feel incredibly released and stress-free, ready to enjoy your travels. Hey Suzy – those are some great tips you shared – THANKS! having the ability (guts) to leave a stressful situation is a very powerful mindset to develop and I'm sure has helped you out on many occasions! Great advice. Exercise is the most important for me- I always make sure there's room for running shoes in my pack! yeah that is a great tip – think about another time when you were in a similar situation, and how you made it through without problems by changing your current thought patterns. thanks josh – yeah exercise is very important – we made sure we worked out for the whole duration of our last 8months on the road – and it keeps you in shape both physically and mentally – which is what you need when you are out there exploring! Hey, So glad to get tips from someone who has been there and done that! I'm about to embark on a year long round the world trip with my boyfriend and I''ve NEVER done anything like that before! Neither of us have and we really don't know what to expect!! We're gonna be keeping a blog too and have literally just started it – if you've been to any of the countries we're going too would appreciate a few hints/tips about these in particular?? Hey, So glad to get tips from someone who has been there and done that! I'm about to embark on a year long round the world trip with my boyfriend and I''ve NEVER done anything like that before! Neither of us have and we really don't know what to expect!! We're gonna be keeping a blog too and have literally just started it – if you've been to any of the countries we're going too would appreciate a few hints/tips about these in particular?? Aisleen. great to see you on here – we got your email and will be answering your questions this thursday 🙂 travel together is an amazing adventure, and i am sure you both will have an incredible time! I came to your blog after you just added me on Twitter. I've been on the road solo for over 25 months and, after reading a few of your articles, I think you give a lot of good advice for long-term travel. Also, I'm happy to hear you're doing it on a low budget. Really great advice. I've finally gotten into a routine but I really need more exercise, I think I may be hitting the gym in the future. These are some really awesome tips! I couldn't agree more. I think having some me time is so key–people think they are supposed to be with other people 24/7, but that can be kind of stifling! I also like the idea of slowing down. I often find myself in such a frenzy to get from one place to another that I forget to slow down and enjoy my surroundings. its great you have found a routine – feels good right? 🙂 the gym is a good thing to do, but sorta hard while you are traveling – we are going to be posting a blog soon about working out while on the road. Maldives vacations. This is the 1st step for your Maldives Holidays. With over 100 Maldives resorts suited for perfect Maldives Vacations for any holidays. Travel is enriched with joyful and delighted event.Generally We spend our vacation in the remote area from the city.Your tips are very helpful for the travelers.I most like the point ” Don’t Try To Control The Uncontrollable ” very much.Of course heavy load in vacation made our vacation monotonous like daily life.Vacation is not our daily routine work, it wil be enjoyable and funny. Great tips here – after a day mooching around in southern cambodia i think I need to work on num 10! This list (and blog) is awesome!! It’s so true! Why do we do this to ourselves? I went to New Zealand once for three weeks and was determined to see the whole thing! In the end, I felt I didnt see any of it, so I moved there for a year to do it right! haha. Haha yeah Asia can really give you a hard time if you try the uncontrollable and refuse to get over things, or will at least keep you very busy! How about including on your list travel insurance especially when you are traveling in developed countries like the US where in health care is very expensive. I assure you if you have one you will be worry free when it comes to financial matters when in case something unpleasant happens. Love this post! Being early is certainly a good idea, that I need to do better at. I always feel less stress when I’m not worried about making that train on time. Love the tip about letting things go to. It’s happened, and you’re best to simply learn from it and move on.